Andre Gray scored a hat-trick as David Moyes' wretched Sunderland were battered 4-1 by Burnley at Turf Moor. Gray, who netted the winner against Middlesbrough on Boxing Day, took advantage of some calamitous defending by Papy Djilobodji on three occasions to score the Clarets' first-ever Premier League treble. Ashley Barnes added a fourth from the spot before Jermain Defoe claimed a consolation as the Clarets moved nine points clear of their opponents with a seventh home win of the season to round off a fine 2016 in style. For the Black Cats, who lost Lamine Kone and Victor Anichebe to first-half injuries and are facing a quiet transfer window, hope will be in short supply when the new year arrives. Moyes had made three changes in a bid to claim a crucial year-ending three points and his plan had John O'Shea as a defensive-midfield shield in an attacking team. The Black Cats started brightly too but the writing looked to be on the wall as soon as Kone picked up an injury when colliding with an advertising hoarding as he tried to stop Gray firing into the side-netting. After initial treatment, Kone carried on but conceded defeat in the 24th minute and O'Shea dropped back to form a central-defensive partnership with Djilobodji that wilted when facing its first real test. From Scott Arfield's long punt, both Sunderland centre-backs went to challenge Barnes and the ball came off O'Shea's shoulder, allowing Gray to run through and slot beyond a collapsing Vito Mannone, who was unable to keep out a shot directed virtually straight at him. 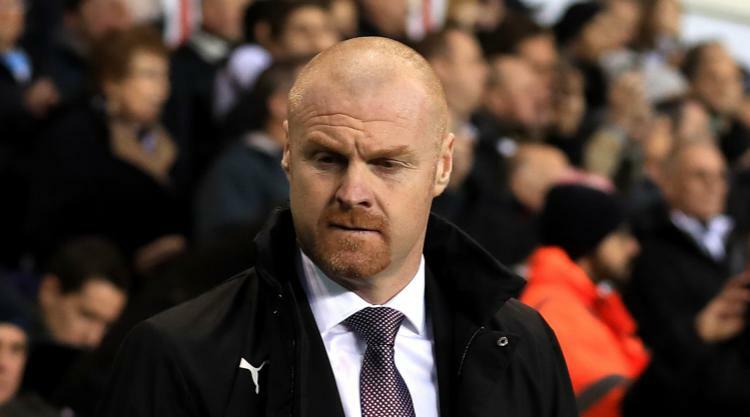 Burnley were buoyed and Stephen Ward should have registered a shot on target from Matthew Lowton's deep cross while Arfield steered another attempt wide. By half-time, Anichebe had also succumbed to injury, stretching to try and stop George Boyd, meaning Moyes' team had suffered as many injuries as they had had shots on goal. If their first half was bad, the opening eight minutes after the break were considerably worse. Burnley doubled their lead with another routine ball down the middle, this one from Marney sent in Gray's direction. Last-man Djilobodji was more interested in trying to wrestle Gray to the ground and the former non-league striker shook him off, went around Mannone - who had darted out to the edge of the box - and passed into the empty net. Just over two minutes later, Gray had a hat-trick. Steven Defour's scooped pass into Barnes was chested into Gray's path, with Senegalese Djilobodji lethargically trailing him, and he finished past Mannone. The 25-year-old held the match-ball aloft to the crowd, but his team-mates still needed Gray's spoils to inflict further misery. The travelling support angrily chanted 'Are you watching, Ellis Short?' at their owner, while Burnley's fans serenaded ex-Manchester United boss Moyes with, 'You're getting sacked in the morning'. A fourth goal came in the 67th-minute as Sebastian Larsson barged into Arfield and Barnes stepped up to hammer the penalty into the corner. Defoe's 71st-minute consolation at least prevented it from becoming Sunderland's biggest defeat of the season, but the chasm between them and one of their relegation rivals now stands at nine points.